Finally! But where is the correction-ribbon? Hilarious, sweet and rather – well, desirable, like having a turntable for vinyl records – still crazy after all these years! 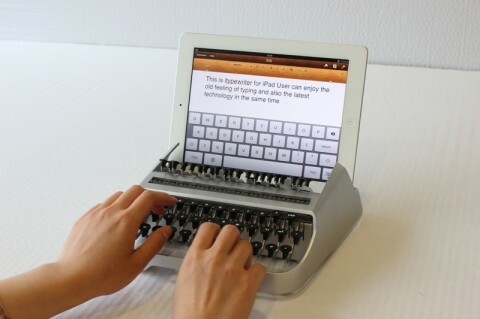 I’ve been lusting after one of those usb typewriters for a while now. This is neat as well, but there’s something extra cool about one of those usb conversions. I would’ve preferred someone who knew typing feature in the video, and am sure it wouldn’t nearly kill the ipad with those loud clacks…. because people who use the right fingers are more gentle on the keys…!! Yup, first thing I noticed too – person is not using the correct fingers. Regardless of the typing skills or lack thereof, it’s still a cool little tool. 1- Why don’t you buy a typewriter? 2- Why don’t you use a macbook?